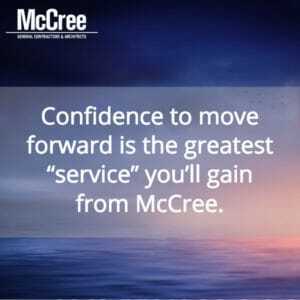 Confidence to move forward is the greatest “service” you’ll gain from McCree General Contractors & Architects. Unless you are highly experienced with commercial construction and real estate development, bridging the chasm from inspiration to occupancy too often feels like a blind leap of faith. 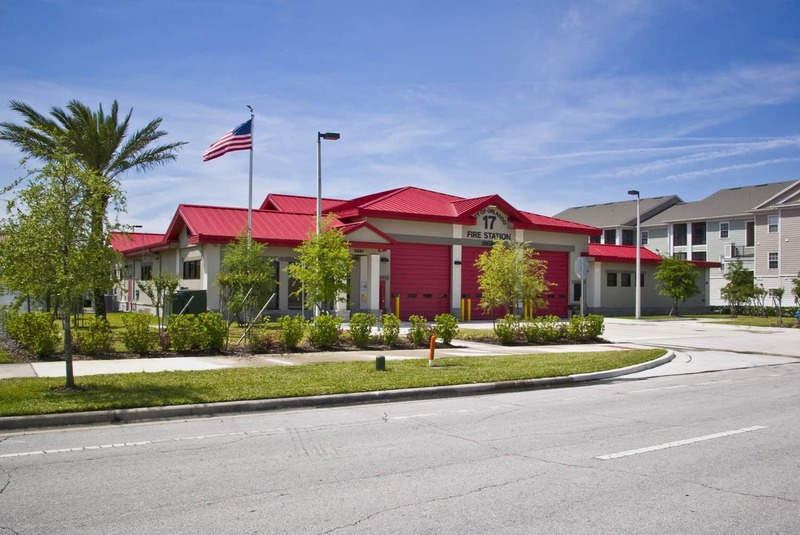 From our founding in 1926 to today, the McCree family is dedicated to mitigating your construction-related risks while designing and building what you need and can afford at a fair market price. Up front you’ll know the unvarnished full facts for your project—budget, schedule and quality standards. Your heart will be at peace and your head will be confident with your decision to engage McCree General Contractors & Architects. Doing business with one ownership team shields you from the costly commercial construction battles that will otherwise eat up your time, budget, schedule, standards and sanity. With every line drawn on a design to every nail hammered, we’re scrutinizing what’s the right way to earn your trust and have pride in our work. That’s the “Designed & Built Right” customer promise and McCree operating philosophy. You have better things to do. Taking a “Delegate and Done” approach with McCree simplifies your experience without sacrificing accountability. Yes, your project can come in on time, on budget, to standards and at a fair price. McCree CARES: You will have a Project Coordinator, a Concierge and a Project Manager dedicated to serving your needs from concept to completion and beyond. Feasibility Study: At the start of a project and need to sort out what’s possible (and what isn’t)? Enhanced Design-Build: Your best result will emerge from the Enhanced Design-Build relationship working on your behalf. Architecture & Engineering: From feasibility studies to site planning to renderings to final blueprints, our internal A&E team designs in conjunction with our construction experts to ensure project fluidity. General Contracting: Have your architectural plans done and you’re looking for a great construction experience? Self-Performing Trades: A seamless Design-Build process by having the capability to self-perform many of the trades associated with a project. Owner’s Representative: Have a project where third-party expertise is needed to ensure you’re getting what you were promised by your architect and contractor? McCree@Home: If you’re too busy to care for your high-end residence, McCree@Home takes care of it for you.